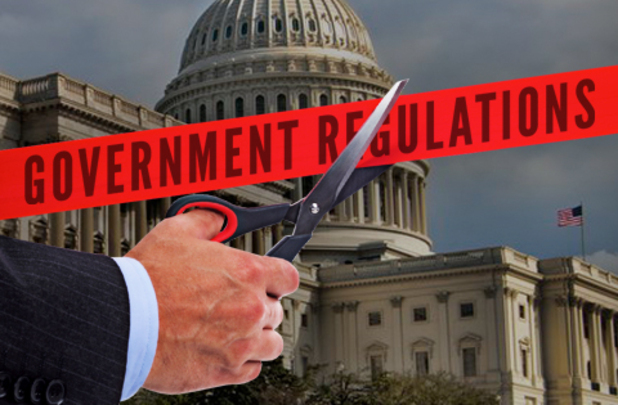 [Madison, Wis…] – Wisconsin this week could become the first state in the nation to pass a REINS Act, legislation demanding greater oversight of state bureaucratic rule-makers. The Regulations from the Executive in Need of Scrutiny, commonly known as the REINS Act, is slated for floor debate Wednesday in the Assembly, where the bill enjoys wide support from majority Republicans. Early last month the Senate passed the bill – co-authored by Sen. Devin LeMahieu (R-Oostburg) and Rep. Adam Neylon (R-Pewaukee). Last session the Assembly passed a similar REINS Act bill on a party-line vote, but it died in the Senate as time wound down on the session. Neylon says the GOP majority in the Assembly hasn’t changed its stance. “I think we are in a very good position. There is no wavering support. I believe it will (pass) on a party-line vote,” he said. Gov. Scott Walker included the reform measure in his biennial budget plan, but REINS was one of 83 “non-fiscal” policy items stripped from the Joint Finance Committee’s starting budget document. The REINS bill is similar to legislation moving through Congress, but with lower thresholds. It provides greater legislative oversight of the regulations adopted by state agencies. Any rule or regulation with an economic impact of more than $10 million would require legislative approval. And it gives the Legislature’s Joint Committee for Review of Administrative Rules more muscle. The committee would be empowered to request a public hearing earlier in the rule-making process and call for an independent review of the proposed regulation’s economic impact. Some environmentalists last session claimed the REINS Act would slow down the rules-making process. That “misleading” message ended up slowing down the legislative process, ultimately killing the bill, Neylon said. “It would slow (the rule-making process) down for expensive rules, and I believe it should,” Neylon said. “It took a long time to explain the truth behind the proposal,” that only proposed rules with an impact of $10 million or more would face greater scrutiny. “This bill will limit the power of these rogue agencies” and limit the power of governors who want to circumvent the legislative process with executive orders, Neylon said. “The cost of the federal regulations is now greater than personal and corporate income tax collections combined. Washington has been unable to control regulations. Wisconsin can and will. The REINS Act–blocked by special interests in Washington–can be enacted in Wisconsin to reduce the costs and delays of overregulation,” Norquist said in an email statement to MacIver News Service. “By becoming the first state to pass a state version of the REINS Act, Wisconsin will further solidify its reputation as one of the nation’s top government reforming states,” he added.